CASA stands for Court Appointed Special Advocates, and is a National Organization. CASA of Douglas County is a member of the National Organization, and required to meet their standards and criteria in order to remain a member in good standing. CASA of Douglas County serves the Ninth Judicial District of Nevada. 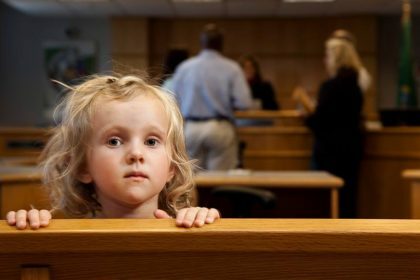 CASA volunteers are Court Appointed Special Advocates for children appointed by a Judge. CASA volunteers are well-trained men and women who have the time, heart and commitment to listen to a child, investigate the situation and then report back to the Judge regarding the best interests of the child. CASAs are the voice for children in court as they travel through the court system, acting as the eyes and ears for the court. A CASA searches for information, reviews records, interviews parents, talks to teachers, neighbors and family in an effort to paint a picture for the Judge. In an overburdened system where children are at risk of slipping through the cracks, the CASA’s goal is to see that a child’s best interests are served. CASA is separate from Child Protective Services, attorneys, social services and any other agency. An advocate is appointed by a Judge to provide an independent, objective recommendation to the Court regarding the child’s best interest. HOW MANY CHILDREN DOES CASA SERVE? CASA of Douglas County served 99 children in 2016, in 59 total cases. A case is defined as a family, and each CASA volunteer is assigned to the sibling group. Therefore, a volunteer may be assigned to more than one child, depending on how many children are in that family. A CASA must be over the age of 21, and have the willingness and ability to volunteer their time for children in our community. Advocates are expected to communicate effectively and be able to write objective reports to the court. Advocates must complete 30 hours of initial training, pass a background check, and provide three non-family references. All advocates are screened through an interview process to ensure objectivity, competence and commitment. After completing all training and background check requirements, volunteers are sworn in as a CASA. Ongoing case management with a supervisor and 12 hours of continuing education is required each year. HOW MUCH TIME DOES BEING A CASA REQUIRE? A CASA volunteer should anticipate 1-2 hours/week for a case, plus court appearances and report writing. While each case is different, typically the initial investigation and interviews take more time because an advocate is learning about a new situation. Therefore, the first 30 days of a case can take up to 4 hours per week. CASA volunteers are expected to attend court hearings, write reports and meet with the child and family on a regular basis. Advocates are requested to stay assigned to a child’s case for the duration of the court process, typically 12-months, but could be longer. Consequently, volunteers are requested to make at least a 12-month commitment to the program once trained.